The billion dollar business of diamonds is feeling threatened, not because of millennials who are under-spending on them or simply skipping them altogether, but because of the proliferation of synthetic or fake diamonds. Yes, you read that right: Diamonds are now being faked to the level that the so-called synthetic ones are downright indistinguishable from actual, natural ones. And this has caused De Beers to quake in their proverbial boots. De Beers is an international corporation that specializes in diamond exploration, and they practically own the entire diamond industry. Now that synthetic diamonds are coming up as real, viable alternatives to their natural counterparts, they’ve begun performing certain counter-measures. The majority of the world’s synthetic diamonds originate from China, according to a report, and they were originally meant to be used in certain industrial purposes such as oil drilling. This is due to their inherent hardness as a material. But now, even though they have only been spreading mainly in China, De Beers believes that they pose a clear threat to the global diamond market as a whole. To counteract this problem, the company has reportedly invested tens of millions of dollars on methods to identify the synthetic versions of diamonds and prevent them from further spreading. 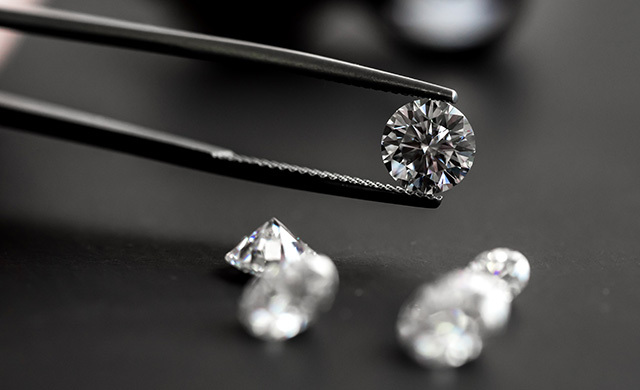 According to Jonathan Kendall, the president of the International Institute of Diamond Grading and Research, which is owned and run by De Beers, major customers of the diamond industry need to be protected from these supposedly fake products. Jewelry makers in particular need extra help with their investments. “They want to be confident in the diamonds they are buying for their business or selling to jewelry retailers,” he said. The biggest problem with the synthetic diamonds coming out of China, it seems, is that even the most knowledgeable experts on diamonds are finding it supremely difficult to tell them apart from natural ones. It appears that naked eye inspection is just not enough to tell which is which, and so that is where De Beers saw the opportunity to invest in technology to help them in their battle. De Beers’ main motivation, of course, is the fact that more and more diamond shoppers are starting to gravitate towards the man-made alternatives to natural diamonds. Firstly because they do bear a striking resemblance to real ones, which is what makes it hard to tell them apart from them in the first place, but also because they are a lot more affordable. According to Georgette Boele, an industry expert and coordinator of precious metals strategy at Dutch Bank ABN Amro, the activity in the synthetic diamond space has pretty much turned the market upside down. “The arrival of lab-grown diamonds has challenged the widely-held assumption that diamond prices could only increase,” she explained, “because supply in natural diamonds has peaked and due to strong Asian demand.” As such, De Beers is really starting to feel the pressure. Already, some big players in the market have thought about adapting to this development. Swarovski, the world-famous makers of crystal jewelry and fashion accessories, was the first company to unveil an entire line based on synthetic diamonds. The company referred to them as “created diamonds,” in contrast with so-called “blood diamonds.” (Related: How to Tell If Your Diamonds Are Naturally Sourced or Fake). If you look at the official numbers, the overall share of man-made diamonds in the global diamond market, in terms of sales, still sits at a measly one percent. But forecasts predict that it may jump to 7.5 percent or up to 15 percent by 2020, which could then grow even further in the next decade. For what it’s worth, many experts have stepped in to try and educate the public on how to find the difference between natural diamonds and lab-made ones. It may be difficult to do for now, but in a few years, a clear winner will most likely emerge. Then perhaps the world will finally find out whether or not a diamond is forever.